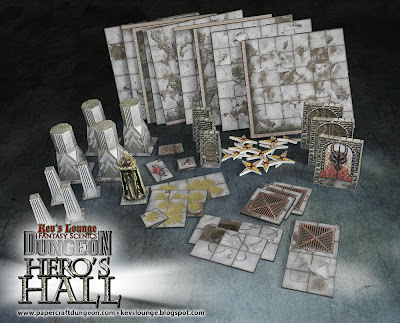 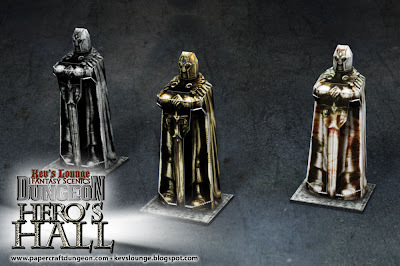 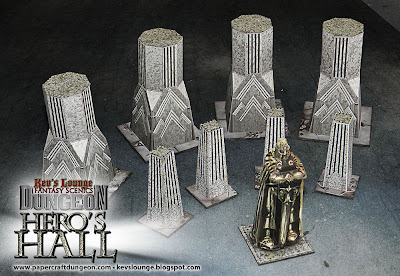 Kev's Lounge Dungeon: Hero's Hall is a modular dungeon playset perfect for table top war games, skirmish games and RPGs. . 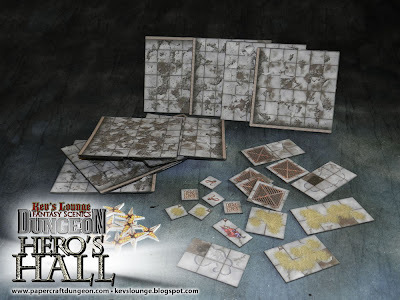 It's main purpose is to allow you to create a gigantic centrepiece room for a particularly special encounter in your dungeon. 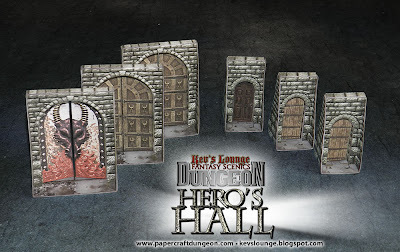 This set contains brand new Kev's Lounge papercraft dungeon tiles, and markers, along with 3d papercraft pillars, doors and a fantastic statue to add a third dimension to your dungeon delves! 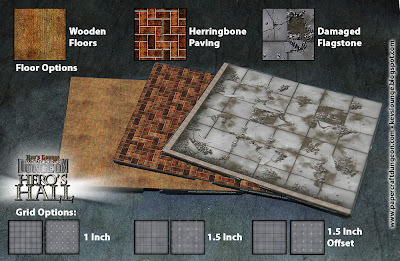 With the various layer options this set will allow you to create loads of completely unique pieces that can be arranged in hundreds of ways, and when combined with other Kev's Lounge Dungeon components, the possibilities abound! 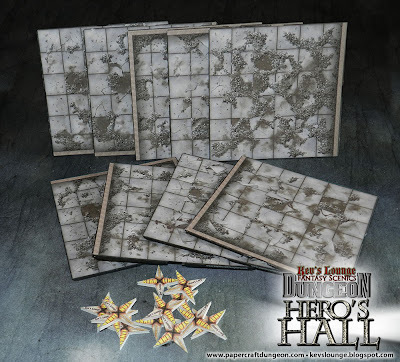 43 page instruction manual, in PDF format, optimised for screen view to save you ink. 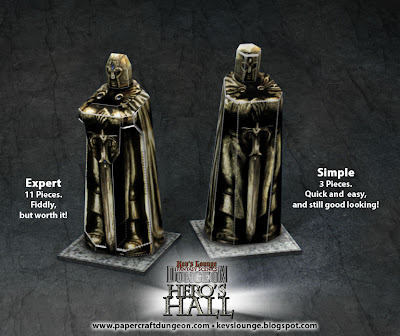 Details every step of the process with clear, full colour illustrations..